Skye Gravestones | Alexander & Marion (MacKinnon) MacDonald. Alexander & Marion (MacKinnon) MacDonald. 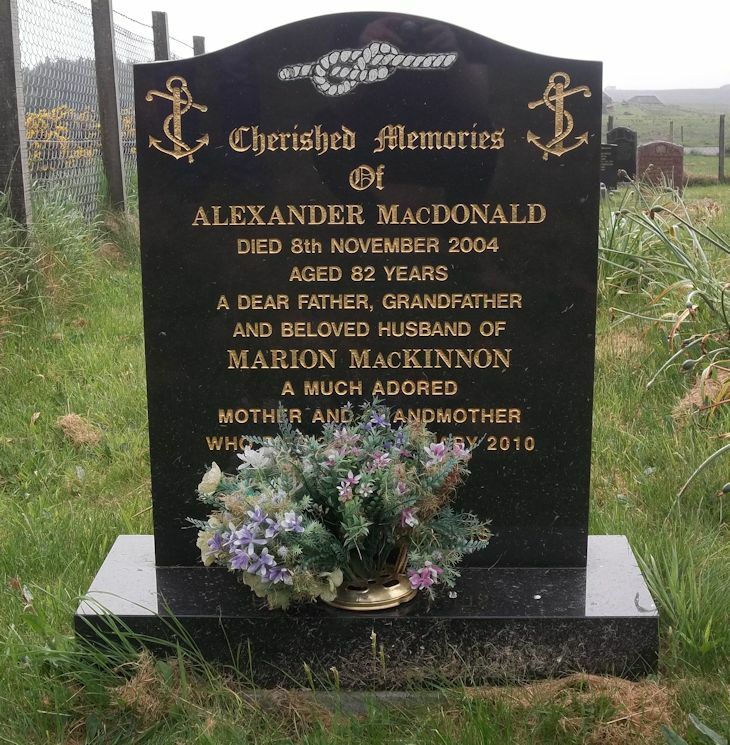 Cherished memories/of/ALEXANDER MacDONALD/died 8th November 2004/aged 82 years/a dear father, grandfather/and beloved husband of/MARION MacKINNON/a much adored/mother and grandmother/who died 28th February 2010/aged 77 years.